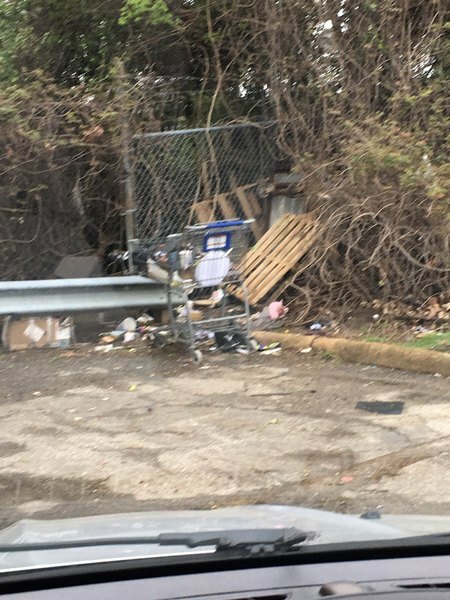 Homeless group has taken over an area between the back fence of northern tool and the old tag inspection station. It is a mess. Theu have erected buildings and the area is littered with stolen items and garbage. When i was taking pics guy came out with an axe in his hand. Both wheels and handle are broken in cart. Previous repair broke again. Please replace. Resolution summary: Zarn 0052 0318 replaced wheels and wear pads. the wheels and the bar they're attached to must have broken during this morning's pickup. The overgrowth is getting ready to become a jungle once again. Why don't the city just kill the grass and cut down on having it cut? Tree limbs cut and stacked neatly along the curb for pick up. Just stacked on Sunday. The branches have not been picked up yet. Picker pile at 1846 Downing has been reported twice. Has been on street almost a month. Need it gone. I need a new garbage can and new recycle can, who do I need to contact? How can I get a recycle cart? My bin is not big enough.